Wig It2 is an urban upscale family hair care salon and boutique, providing natural hair care for today’s busy blended families in a secure salon where you'll fall in love with our staff, our services and our wonderful, welcoming family environment. Located in central California, we specialize in natural hair styling, hair replacements, custom wigs and toupees, hair braiding, dreads, cornrows and natural ethnic hair care. We don’t use chemicals or dye hair. 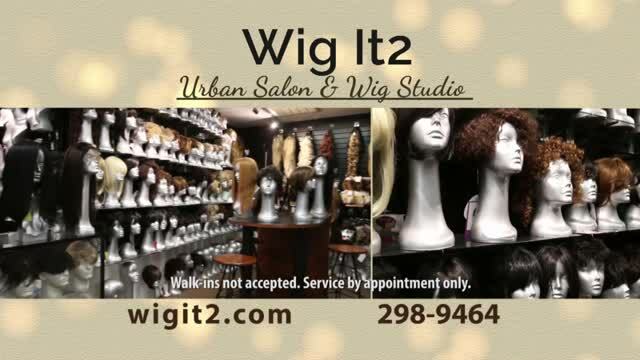 Wig It2 was established in 2000 and has more than 30 years of hair replacement experience. Wig It2 is certified in more than 19 different hair replacement techniques and we're experienced with all hair textures. We are certified in: None Surgical Hair Replacement, Hair Extension and Braiding Trainers, Hair Replacement Consultant and International Wig Designers. We are our clients. We've experience first hand shame that hair loss of any degree can bring. We still have hair loss but we have options and experience with custom hair replacement optional, which makes us VICTORIOUS and no longer victims. Needing the same services we provide sparks a passion and love for what we do. We are cancer survivors and hair loss victims of alopecia. Looking for answers to our own issues sparked a passion to create hair replacement options and help others having the same issue of hair replacement for their HAIR LOSS.